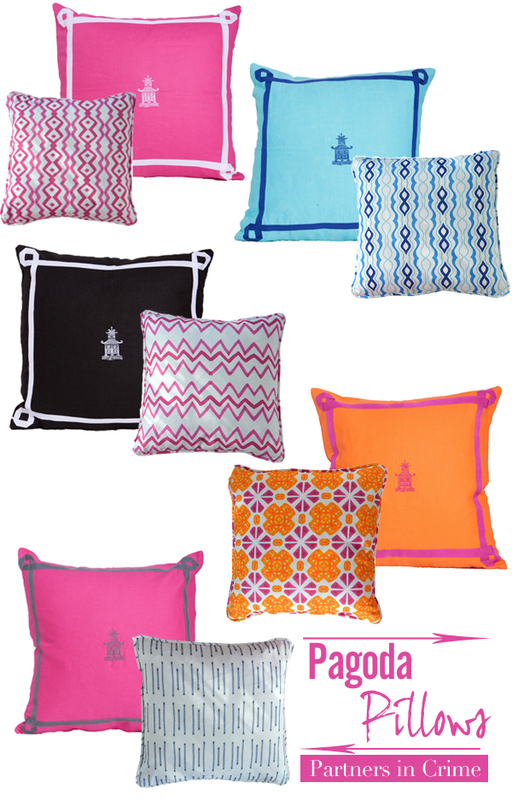 I'm really excited today because my pagoda pillows are on Society Social. You all know about Roxy (I'm in total admiration of this sweet, hard working and beautiful lady), and her quest to bring back the bar cart....well my pagoda pillows are in her shop!! Aren't they precious!? The color combinations are so colorful and happy. See them here. They are the perfect partners in crime to my patterned pillows above which you can get here. These will also be making their way to Society Social soon. Yeay!! || This cute little clutch is too perfect. I mean lucite and gold?? Its pretty much heaven for me. And the price is pretty good. Plus it goes with everything. || How about these lucite letters? They would be adorable in a bookcase or on a desk. Have a wonderful weekend!! I hope you have fun plans. See you next week! Of course your pillows are on there! You are fabulous! Yay! Congrats to you and your lovely pillows! You are on fire! So proud of you. Don't forget us little people when your pillows start getting snatched up by celebrities. TGIF! Congratulations Albertina!! So happy for you! Your pillows are so pretty:) thank you for yor sweet words in my blog, have a great weekend!! Oh Albertina that's great news! Good for you. They are darling too! Congrats lady!!! These are gorgeous! That's awesome, congrats Albertina!!! Those lucite letters are so cool! I love the pillows. The colors are beautiful. Drop by our blog and enter our $80 MsDressy Giveaway! Congrats!!! This is awesome news. They do look amazing together :-) great job! Congratulations Albertina!!! I love your pillows, so colorful! Just the beginning of really great things to come. Congrats! OMG they look amazing! Love the colors! They are the perfect complement...adore the patterns!! Congratulations! This pillows are beautiful! I love these colors and patterns. Each one would be a fun addition to my bed or couch! Your pillows are gorgeous! Exactly what I need for a spring pick-me-up! These pillows are so fab! Love all of them. Super cute pillows! Love the orange/pink ones!